The Squared Circle was a Detroit based wrestling & boxing show that featured a well known wrestler by the name of Al Snow, Champion Boxers some include Thomas “Boom Boom” Johnson, and coverage of the Hearns/Laplaglia fight at Detroit’s Joe Louis Arena. 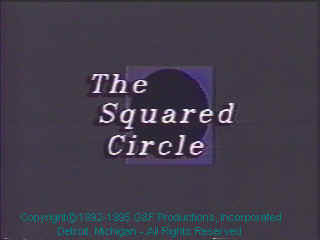 The Squared Circle was one of the last shows produced at the Inkster studio that we occupied. The Show started as an monthly program and before it’s end the show became a weekly production. Notable Information: Wrestling manager Rude Boy Rick hosted the 1 hour show that was seen in over 13 cities in 2 states. During its run it was the largest production of the company. Past Guest: Tom “Boom Boom” Johnson, IBF Feather Weight Champ during the taping of that show. Boxing Lenox Lewis was interviewed at a local fight, Al Snow of the WWE during is local tour days.